(2) by operation of inertia, gravity, or both. This section sets out the meaning of terms that are used throughout the rest of the chapter. The first defined term, “interstate commerce,” is of crucial importance to understanding this entire set of laws because it greatly limits the scope of what these laws apply to. “Interstate commerce” means commerce (i.e. buying, selling and trading) between any of the 50 U.S. states, Washington, D.C., any of the U.S. Territories (e.g. Guam or American Samoa), and “any place outside thereof,” referring to all foreign countries. In other words, this means this term applies to selling, buying and trading between states, between a state and a territory, between a state or territory and a foreign country (i.e. importing). It does NOT refer to buying, selling or trading within a state. In regards to the term “switchblade knife,” the inclusion of the phrase “in the handle” in sub-section (1) is critical, because even if a knife has a spring-operated blade, if it has no device (button, etc.) that releases or activates it located “in the handle,” this definition does not apply (e.g. Assisted Opening Knives or Spring Assisted Knives – see also §1244(5) below)). The other definition (2) is meant to apply to gravity knives (which are rather obscure) and butterfly knives (also commonly referred to as Bali-Song knives). Although referred to as the Federal Switchblade Act, the Federal definition of a switchblade also includes gravity knives and butterfly (Bali-Song) knives. This law only prohibits introducing, manufacturing, transporting or distributing switchblades if doing so is part of a business transaction and that transaction crosses over state or territory lines, or the knives are coming from a foreign country. The law has no effect on selling within the same state, no effect on carry and no effect on possession alone. This section has been interpreted to prohibit the use of imported parts for the manufacture of switchblade knives in the U.S. and a number of enforcement actions have been taken on this basis over the years. This section has very limited applicability to most U.S. residents, but it indirectly generates a great deal of confusion with regards to the exceptions section (§ 1244). For people living in one of the 50 U.S. states (except on Native American reservations) or Washington D.C., this section has no effect. It prohibits the mere possession of a switchblade on Native American reservations, territories like Puerto Rico, Guam, Northern Marianas, U. S. Virgin Islands and American Samoa and certain maritime situations such as Navy vessels or government-owned aircraft. This section only applies to §1242. It exempts the U.S. Postal Service, UPS, FedEx or any other commercial delivery service from being guilty of violating the law while transporting switchblades over state lines. NOTE, however, that Title 18, Part 1, Crimes Chapter 83 (below) restricts shipping of switchblades via the U.S. Postal Service. This section makes it legal for switchblade manufacturers, distributors and retailers to sell to the military, but only if it’s done via an official, sanctioned contract. This is frequently misinterpreted as allowing any active duty member of the military to buy a switchblade from out of of state or from foreign countries, when in fact it does no such thing. It also does not apply to law enforcement officers or other first responders at all. Common practice in the industry, however, is at odds with this section. Manufacturers regularly sell to their dealers regardless of whether or not there is a contract with the military and they often sell directly to members of the military and law enforcement. Many retailers also sell across state lines. Manufacturers and retailers typically require only that the buyer (retailer or individual) certify they are will comply (retailer) or are in compliance with (individual) the Federal Switchblade Act. Arguably, the fact that this has been common practice for over 50 years without significant enforcement actions by the Federal government would invalidate this section to the degree that it has become common practice. However, this has never been litigated and, technically, these practices may not be legal. Makes it legal for members of the military to distribute switchblades over state lines to other members of the military in accordance with normal equipment issuance (1242), as well as exempts members of the military who are in a non-state U.S. territory, Native American reservation or special maritime jurisdiction from the restriction on possession in those areas (§1243) so long as it is for official duty. Again, it does not give blanket permission for members of the military to acquire or carry switchblades, and has no effect on the laws of individual states. A frequently misunderstood exception, this only applies to §1243. It permits a civilian with a missing hand or arm to possess a switchblade if he or she is in a non-state U.S. territory, Native American reservation or special maritime jurisdiction. It does not effect anything in the main 50 states or D.C., nor does it override the laws of any state. A person with one arm living in a state with a ban on possession of switchblades is still restricted like everyone else in the state. This exception was added by Congress in 2009 after U.S. Customs and Border Protection reversed prior rulings that assisted opening (spring assisted) knives were not switchblades (pursuant to §1241). The ruling language not only changed the Federal government’s interpretation that assisted opening knives were not switchblades, it would have also included in the new interpretation any knife with a one-hand opening blade (which includes assisted opening knives). Essentially, Customs was revising the Federal Switchblade Act to include any one-hand opening knife. These knives represented, at the time, approximately 80% of the folding knives sold in the U.S. and also imported into the U.S. While the direct impact would have been to shut down importation of these knives, the potential indirect effect of this precedent-setting reinterpretation could have devastated the industry if courts and legislatures adopted this new interpretation that was at odds with §1241. In its first legislative activity, Knife Rights provided the key grassroots knife owner’s component of a coalition of groups that opposed U.S. Customs’ efforts to redefine a switchblade. The end result was that Congress passed this fifth exception to the Federal Switchblade Act to clarify the issue and protect one-hand opening and assisted-opening knives. This section proscribes ballistic knives in essentially the same manner as switchblade knives, but with severe penalties for anyone merely possessing one while committing a Federal crime of violence. Ballistic knives are rare and not commonly available as much due to their impracticality as for any legal prohibition. Whoever in or affecting interstate commerce, within any Territory or possession of the United States, within Indian country (as defined in section 1151 of title 18), or within the special maritime and territorial jurisdiction of the United States (as defined in section 7 of title 18), knowingly possesses, manufactures, sells, or imports a ballistic knife shall be fined as provided in title 18, or imprisoned not more than ten years, or both. Whoever possesses or uses a ballistic knife in the commission of a Federal crime of violence shall be fined as provided in title 18, or imprisoned not less than five years and not more than ten years, or both. 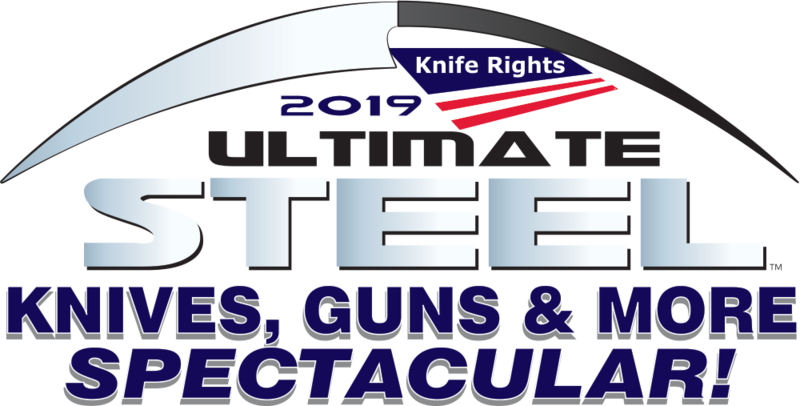 The exceptions provided in paragraphs (1), (2), and (3) of section 1244 of this title with respect to switchblade knives shall apply to ballistic knives under subsection (a) of this section. As used in this section, the term “ballistic knife” means a knife with a detachable blade that is propelled by a spring-operated mechanism. For all practical matters, this section proscribes the use of the U.S. Postal Service to mail switchblade or ballistic knives by civilians or industry except when shipping to supply or procurement officers or supply or procurement employees of the military or Federal, state, county or local government acting in connection with the activities of such organizations or to a dealer selling to such persons for such purposes. Enforcement actions involving switchblades have often involved this section. Knife Rights strongly suggests that individuals use ONLY FedEx or UPS to ship switchblades (including butterfly and gravity knives) and ballistic knives. Do NOT use the U.S. Post Office. (i) (1) Any ballistic knife shall be subject to the same restrictions and penalties provided under subsection (g) for knives described in the first sentence of that subsection. (2) As used in this subsection, the term “ballistic knife” means a knife with a detachable blade that is propelled by a spring-operated mechanism. Adapted from Weapons Laws for Dummies and Knife Laws of the U.S. – Loopholes, Pitfalls & Secrets.